The 8 GB RAM smartphone is launched under the name of Huawei with the name of Honor 10GT, on Monday. This phone features the new technology name as GPU Turbo Technology which is performance-focused mainly. The beta mode in Honor 10 will improve the performance by 60 % and reduce the battery consumption by 30% which is due to the latest GPU turbo Technology, claimed by Huawei. The specification and design in the predecessor of Honor 10 launched in May with 4GB and 6GB RAM variants would be as same but one latest update in the phone is tripod-free Night Mode. The company announced that this GPU Turbo Technology will be available in Honor publicly by August. It will go on sale on Honor’s online store as well as on JD.com as part of a flash sale on July 24, with GPU Turbo and Night Mode available out-of-the-box. The regions where these technologies will be available by August would be mainly Middle East, Asia Pacific, India and Europe. The company also announced that the technology will be available by July 15 in China. AIS another name for night mode in Honor 10 will be made available to the older models by July 12, in closed beta version. The price from the Honor 10 GT in yet not announced but from the reports it has been said that that the price is expected to be more than the Honor 10 predecessor with 6 GB RAM which would be approximately Rs 32,999 in India. The new Honor 10 GT dual-SIM smartphone would be with EMUI 8.1 Operating system along with Android 8.1 Oreo. This phone would support 5.84-inch full HD with the FullView Display and aspect ratio of 19:9. The 8 GB RAM is paired with the 128 GB internal storage with the battery capacity of 34000mAh. 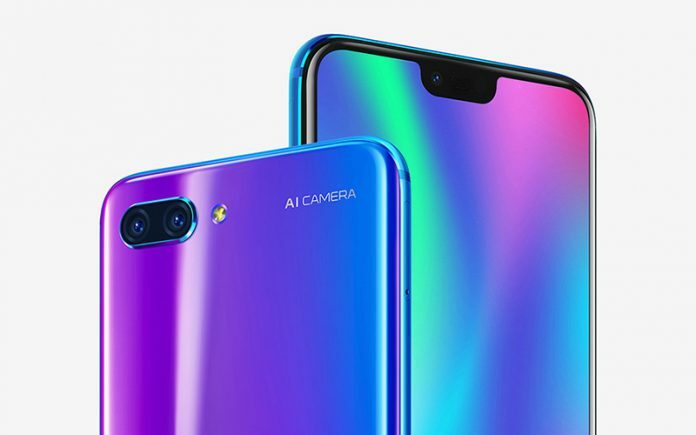 In terms of the camera, this phone has ‘AI Camera setup’ with the 24-megapixel primary sensor and a 16-megapixel sensor. With f/1.8 aperture, PDAF, and an AI photography mode, the front camera sports a 24-megapixel sensor and 1.8-micron pixel camera for better video calling features.